This year we are providing an opportunity for students to live out the Catholic Social Teaching of putting the needs of the poor and vulnerable first. As Christians, we know that God wants us to help people who are poor, who don’t have enough food, a safe place to live, or a community. To do this, each grade will build a farm on the wall outside of their classroom. As students collect money for the Rice Bowl, they can purchase items for their farm to display in the hall. This hopefully will encourage students to get excited about feeding others by providing them with the items they need to grow their own food. Collaboration and discussion will be needed to decide which items the class will purchase for their feeding Farm. They may buy several small items or save up to purchase bigger items. They can also trade in smaller items for larger ones. We will have an agricultural fare each week so classes can keep building on throughout Lent. DentaMed is a mobile dental clinic that provides professional preventative and restorative oral health care to our students. They set up a "clinic" right at the school, so no transportation is needed. Because these dental professionals provide cleanings, x-rays, and simple extractions, medical consent forms and Dental History forms must be completed by a parent/guardian. If you are interested in receiving free dental services for your student, please fill out the medical history and consent forms attached and send them to the school office. We will set up clinic dates based on the number of service requests and availability of the clinic. Students cannot receive dental services without written consent. Because of the inclement weather days, we are required to make some days up to regain compliance with DPI and the Archdiocese. Please note the following changes to our school calendar for the rest of this school year. 1. Friday, March 22nd is now a full day of school for all students. 2. The 8th graders will extend their attendance to Wednesday, June 5th, which is the new date for the morning graduation mass and evening ceremony. This mass will also be the final all-school mass for the year. 3. Friday, June 7th will be extended to a full day of school for grades 1-7 and will be our annual Fun Day Celebration. 4. Monday, June 10th is our final day of school for grades 1-7. It will be a half day, with dismissal at 11am. Road construction has begun on 60th Street. 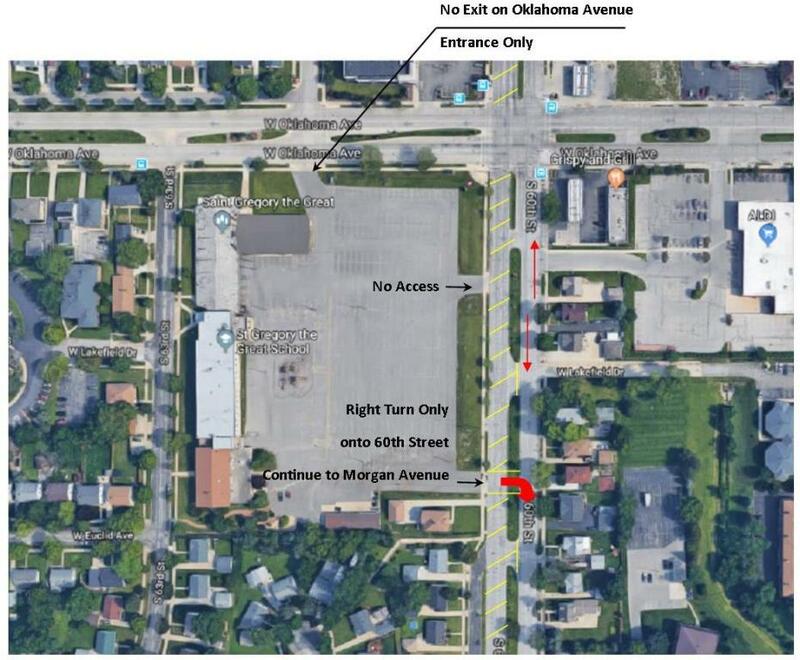 The west side (southbound lanes, including service drives) of South 60th Street from West Morgan Avenue to West Kinnickinnic River Parkway will be closed. One lane of traffic in each direction will be maintained on the east side (northbound lanes) of the roadway. 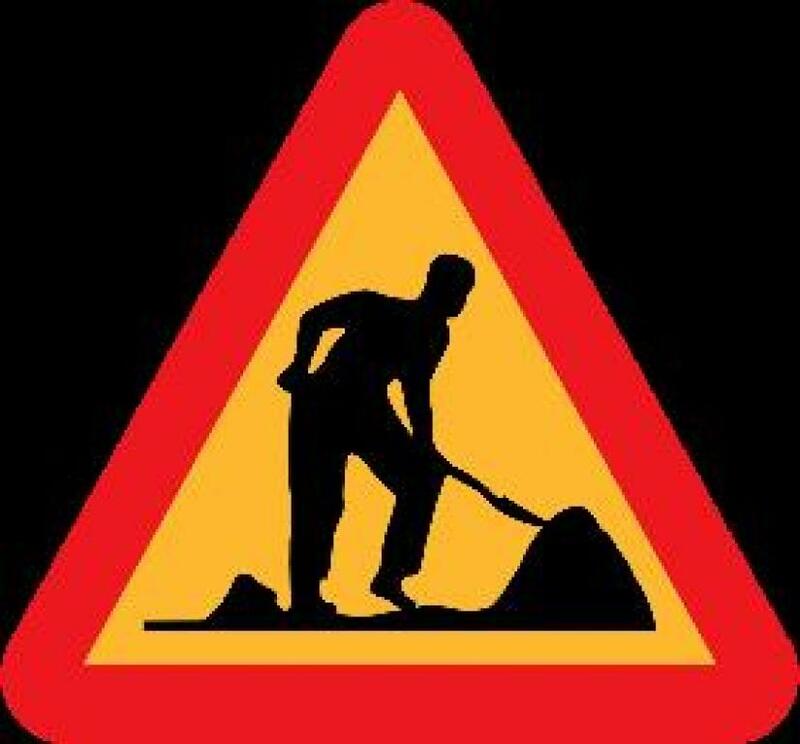 We will continue our playground traffic route as usual unless otherwise posted. Access on to 60th will be available for southbound traffic only. As always, there will not be an exit onto Oklahoma Avenue. We have 'good news' to share with you. St. Gregory the Great School has received exemplary recognition from the Archdiocese of Milwaukee for demonstrating innovation and outstanding results in its School Mission and Catholic Identity. Indeed, we have a Parish School to be proud of! In context of the tragic events that have recently occurred in Las Vegas, as well as events occurring within our local communities, we have included some resources to help guide parents in talking to their children about violence. Our aim is to help students feel safe and secure in their daily environments. Part of this comes from open communication and allowing children to express their concerns and ask questions. Today (10/4) our school community will participate in a prayer service on the Feast of St. Francis of Assisi. St. Francis was a peacemaker. Let us all pray for peace. Join us on these days in celebrating the Greatness of our school! Students and staff may wear their spirit wear shirts along with an appropriate clothing bottom that meets the requirements for out of uniform days as specified in the handbook. As always, students may wear their uniform bottoms if they desire. To view more information on current events, please see our archived newsletters page.